Many moons ago, I was approached by a client about the possibility of injecting a COM wrapped .NET assembly between two configurable COM objects that communicated with one another. The basic idea was that a hardware peripheral would make a request through one COM object, and then that request would be would intercepted by my new COM object which would then prioritize a hardware object’s data in a cross-process, global singleton. From there, any request initiated by a peripheral would then be reordered using the values persisted in my object. Unfortunately, the solution became infinitely more complex when I learned that peripheral requests could originate from software running on different processes on the same machine. My first attempt involved building an out-of-process storage cache used to update and retrieve data as needed. Although it all seemed perfectly logical, it lacked the split-second processing speed that the client was looking for. So, next I tried to reading and writing data to shared files on the local file system. This also worked but lacked split-second processing capabilities. As a result, I ended up going back and forth to the drawing board before finally implementing a global singleton COM object that met client’s needs (Yes, I know it’s an anti-pattern…but it worked!). Needless to say, the outcome was a rather bulky solution, as the intermediate layer of software I wrote had to play nicely with COM objects that it was never intended to live between, as well as adhere to specific IDispatch interfaces that weren’t very well documented, and it reacted to functionality that at times seemed random. Although the effort was considered highly successful, development was also very tedious and came at a price…namely my sanity. Looking back on everything well over a decade later and applying the knowledge that I possess today, I definitely would have implemented a much more elegant solution using an API stack that I’ll go over in just a minute. As for now, let’s switch gears and discuss a something that probably seems completely unrelated to the topic at hand, and that is memory functions. Yes, that’s right…I said memory functions. It’s my belief that when most developers think of storing object and data in memory, two memory functions immediately come to their mind, namely the Heap and Virtual memory (explained below). While these are great mechanisms for managing objects and data internal to a single process, neither of the aforementioned memory-based storage facilities can be leveraged across multiple processes without employing some sort of out-of-process mechanism to persist and share the data. 1) Heap Memory Functions: Represent instances of a class or an array. This type of memory isn’t immediately returned when a method completes its scope of execution. Instead, Heap memory is reclaimed whenever the .NET garbage collector decides that the object is no longer needed. 2) Virtual Memory Functions: Represent value types, also known as primitives, which reside in the Stack. Any memory allocated to virtual memory will be immediately returned whenever the method’s scope of execution completes. Using the Stack is obviously more efficient than using the Heap, but the limited lifetime of value types makes them implausible candidates to share data between different classes…let alone sharing data between different processes. 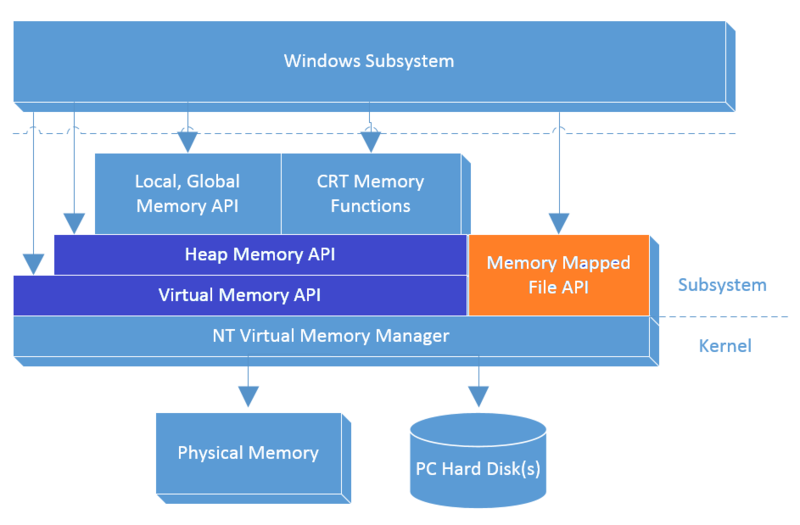 While most developers focus predominantly on managing Heap and Virtual memory within their applications, there are also a few other memory options out there that are sometimes go unrecognized, including “Local, Global Memory”, “CRT Memory”, “NT Virtual Memory”, and finally “Memory-Mapped Files”. Due to the nature of our subject matter, this article will concentrate solely on “Memory-Mapped Files” (highlighted in orange in the pictorial below). 1) Advantage #1 – Accessing data files on the hard drive without taking the I/O performance hit due to the buffering of the file’s content, making it ideal to use with large data files. 2) Advantage #2 – Memory-mapped files provide the ability to share the same data with multiple processes running on the same machine. 1) Persisted memory-mapped files: After a process is done working on a piece of data, that mapped file can then be named and persisted to a file on the hard drive where it can be shared between multiple processes. These files are extremely suitable for working with large amounts of data. 2) Non-persisted memory-mapped files: These are files that can be shared between two or more disparate threads operating within a single process. However, they don’t get persisted to the hard drive, which means that their data cannot be accessed by other processes. I’ve put together a working example that showcases the capabilities of persisted memory-mapped files for demonstration purposes. As a precursor, the example depicts mutually exclusive thoughts conjured up by the left and right halves of the brain. Each thought lives and gets processed using its own thread, which in turn gets routed to the cerebral cortex for thought processing. Inside the cerebral cortex, short-term and long-term thoughts get stored and retrieved in a memory-mapped file that’s availability is managed by a mutex. A mutex is an object that allows multiple program threads to synchronously share the same resource, such as file access. A mutex can be created with a name to leverage persisted memory-mapped files, or the mutex can be left unnamed to utilize non-persisted memory-mapped files. In addition to this, I’ve also assembled another application that runs as a completely different process on the same physical machine but is still able to read and write to the persisted memory-mapped file created by the first application. So, let’s get started! At this point, each asynchronous sub-thread calls its respective Stimuli() class. It should be obvious that both the LeftBrain() and RightBrain() objects are fundamentally similar in nature and therefore share interfaces and inherit from the same base class object, with the only significant differences being the types of thoughts they invoke and the additional millisecond I added to Sleep() invocation to the RightBrain() class to simply show some variance between the manner in which the threads are able to process. Regardless, the thread delegates spawned in the LeftBrain and RightBrain Stimuli() classes are responsible for contributing to short-term memory, as each thread commits its discrete memory item to a growing list of memories via the Thought() object. Each thread is also responsible for negotiating with the local mutex (highlighted below in orange) in order to access the critical sections of the code where thread-safety becomes absolutely imperative (highlighted below in wheat), as the individual threads add their messages to the global memory-mapped file (highlighted below in silver). After each thread writes its memory to the memory-mapped file in the critical section of the code, it then releases the mutex (highlighted below in green) and allows the next sequential thread to lock the mutex and safely enter into the critical section of the code. This behavior repeats itself until all of the threads have exhausted their discrete units-of-work and safely rejoin the hive in their respective hemispheres of the brain. Once all processing completes, the block is then lifted by the primary thread and normal processing continues. So, to quickly wrap this article up, my final step is to create a separate console application that will run as a completely separate process on the same physical machine in order to demonstrate the cross-process capabilities of a memory-mapped file. In this case, I’ve appropriately named my console application “OmniscientProcess”. This application will make a call to the RetrieveLongTermMemory() method in its same class in order to negotiate with the global mutex. Provided the negotiation process goes well, the “OmniscientProcess” will attempt to retrieve the data being preserved within the memory-mapped file that was created by our previous application. In theory, this example is equivalent to having some external entity (i.e. someone or something) tapping into your own personal thoughts. Finally, while memory-mapped files certainly aren’t a new concept (they’ve actually been around for decades), they are sometimes difficult to wrap your head around when there’s a sizable number of processes and threads flying around in the code. And, while my examples aren’t necessarily basic ones, hopefully they employ some rudimentary concepts that everyone is able to quickly and easily understand. To recount my steps, I demonstrated calls to disparate objects getting kicked off asynchronously, which in turn conjure up a respectable number of threads per object. 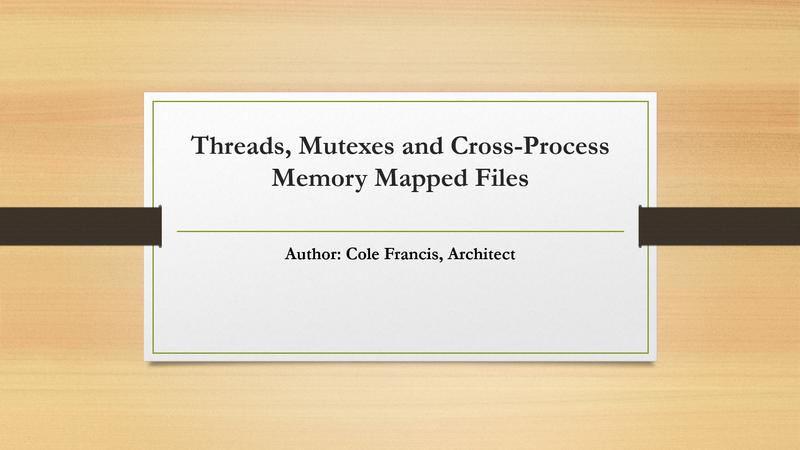 Each individual thread, operating in each asynchronously executing object, goes to work by negotiating with a common mutex in an attempt to commit its respective data values to the cross-process, memory-mapped file that’s accessible to applications running as entirely different processes on the same physical machine. 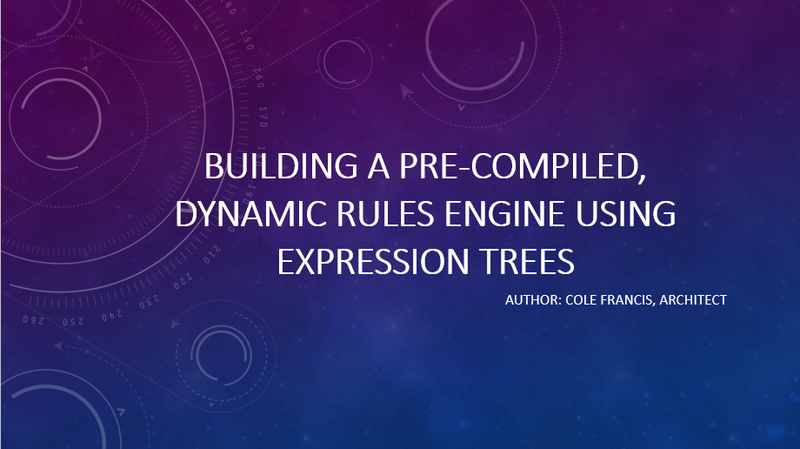 Over the past couple of days, I’ve pondered the possibility of creating a dynamic business rules engine, meaning one that’s rules and types are conjured up and reconciled at runtime. After reading different articles on the subject matter, my focus was imparted to the Microsoft Dynamic Language Runtime (DLR) and Labmda-based Expression Trees, which represent the factory methods available in the System.Linq.Expressions namespace and can be used to construct, query and validate relationally-structured dynamic LINQ lists at runtime using the IQueryable interface. In a nutshell, the C# (or optionally VB) compiler allows you to construct a list of binary expressions at runtime, and then it compiles and assigns them to a Lambda Tree data structure. Once assigned, you can navigate an object through the tree in order to determine whether or not that object’s data meets your business rule criteria. After reviewing a number of code samples offered by developers who have graciously shared their work on the Internet, I simply couldn’t find one that met my needs. Most of them were either too strongly-typed, too tightly coupled or applicable only to the immediate problem at hand. 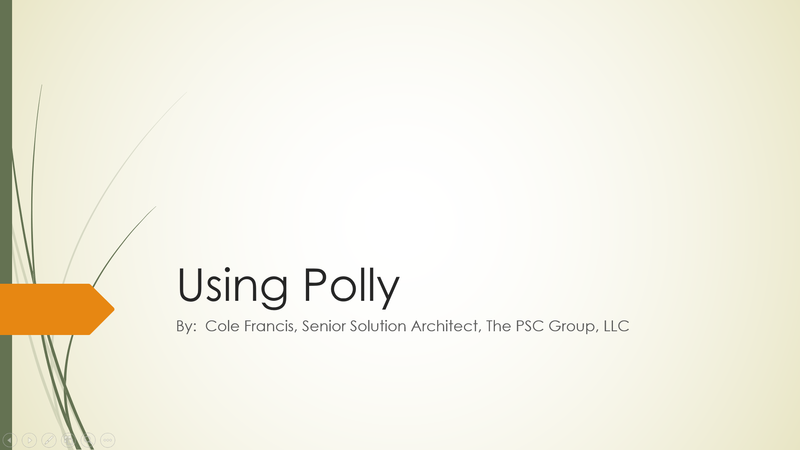 Instead, what I sought was something a little more reusable and generic. So, in absence of a viable solution, I took a little bit of time out of my schedule to create a truly generic prototype of one. This will be the focus of the solution, below. Next, I’ve created a simple console application and added a project reference to the ExpressionTreesRulesEngine project. Afterwards, I’ve included the following lines of code (see the code blocks below, paying specific attention to the lines of code highlighted in orange) in the Main() in order to construct a list of dynamic rules. Again, these are rules that can be conjured up from a data backing store at runtime. 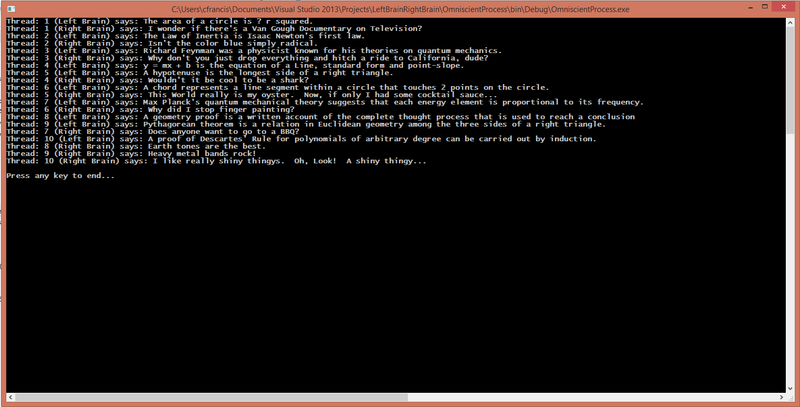 Also, I’m using the ICar interface that I created in the code block above to compile my rules against. As you can also see, I’m leveraging the out-of-box LINQ.ExpressionTypes enumerates to drive my conditional operators, which is in part what allows me to make the PreCompiledRules class so generic. Never fear, the LINQ.ExpressionTypes enumeration contains a plethora of node operations and conditional operators (and more)…far more enumerates than I’ll probably ever use in my lifetime.